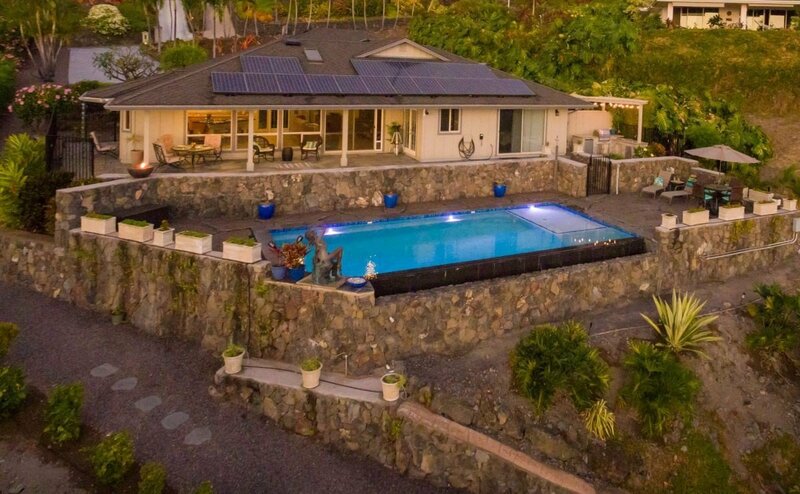 This privately situated luxury home is what living in paradise is all about! 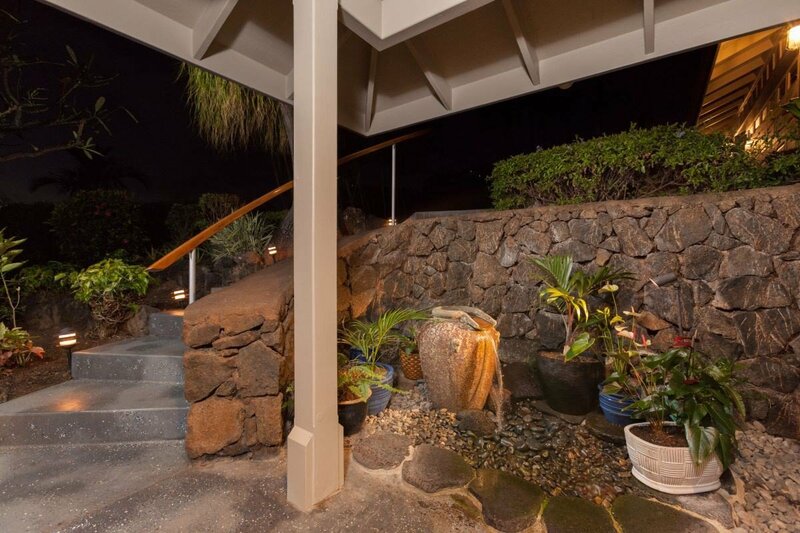 Upon entry you are greeted by a trickling waterfall, framed in exotic flowers. 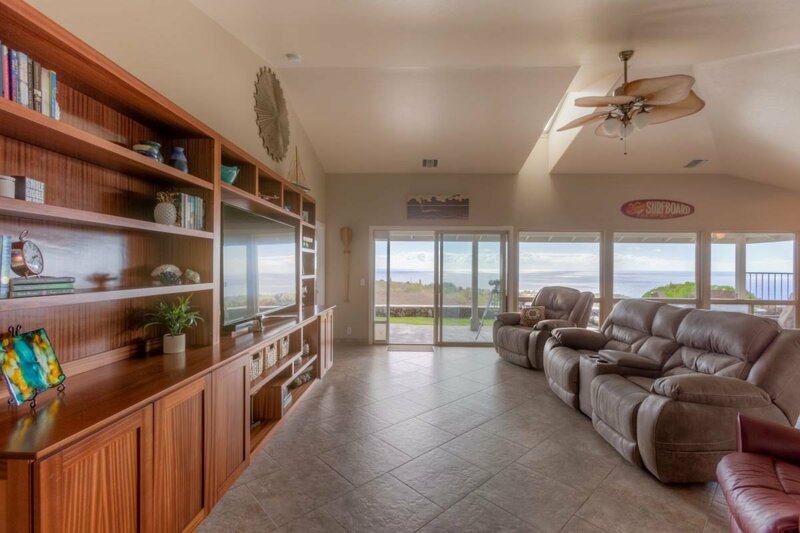 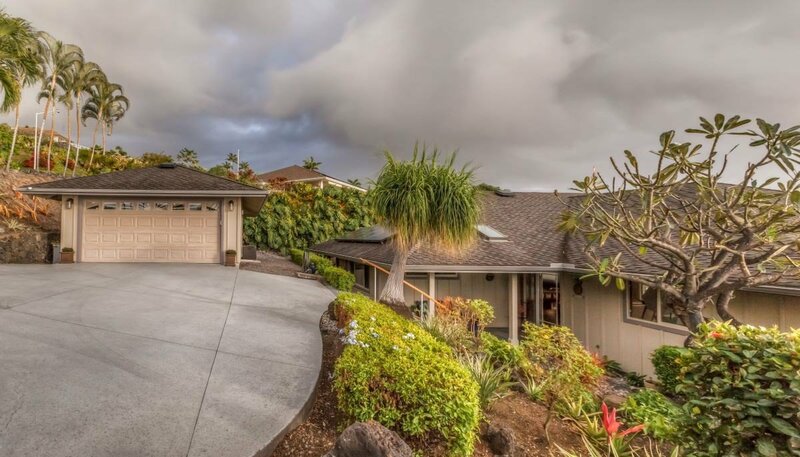 Once through the front door nothing stops your panoramic view of the Kona Coast. 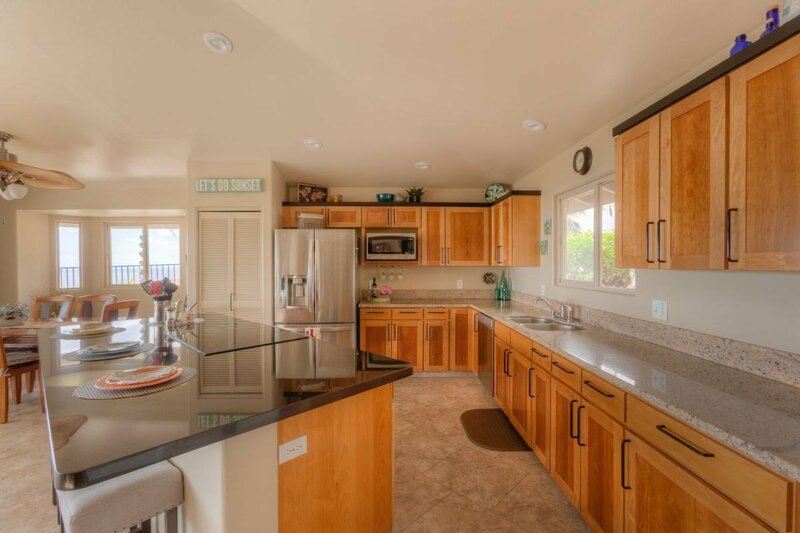 The kitchen has been updated with beautiful granite counter tops and cherry cabinets. 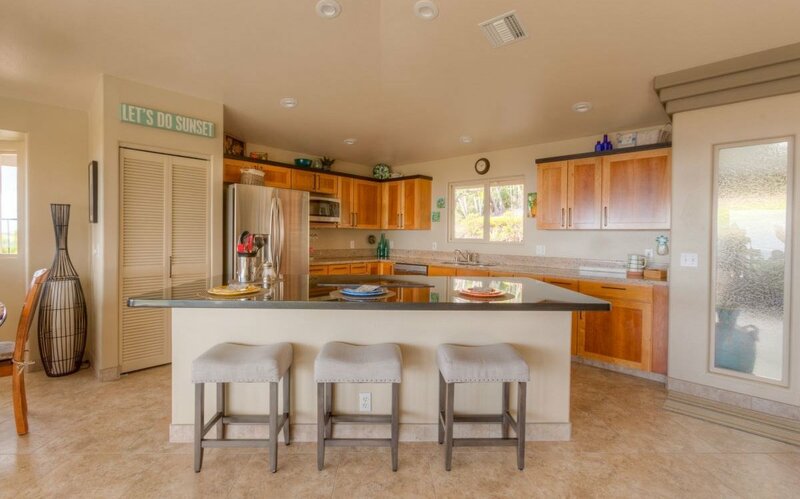 A center cooking area and counter allows for visiting with your guests and family, all the while, viewing the ocean. 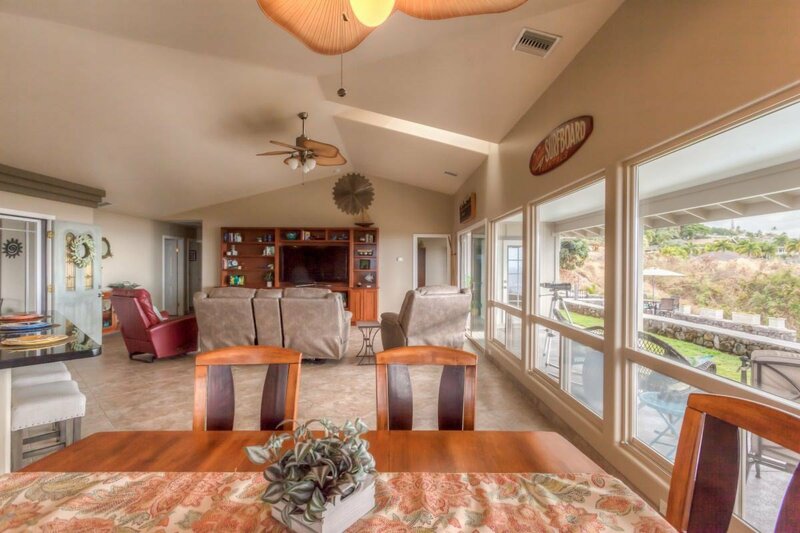 Vaulted ceilings enhance the great room with the beautifully custom designed entertainment center. 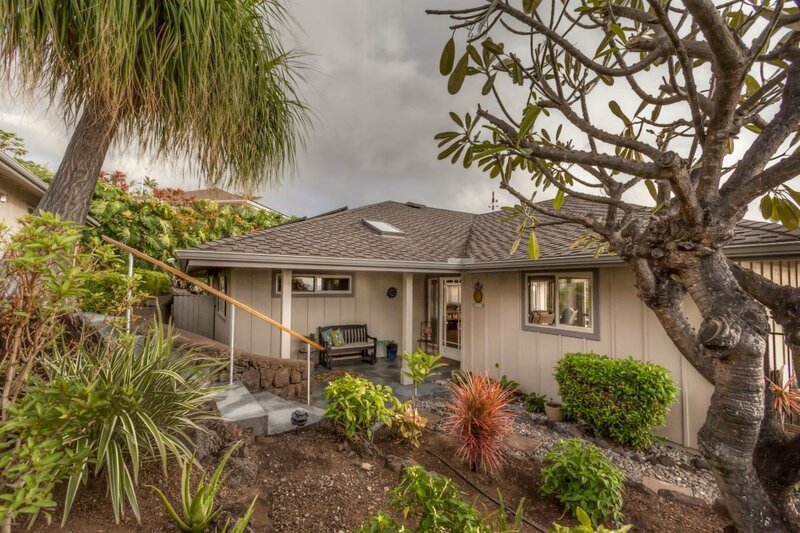 Wake up to views of the ocean from the master bedroom with two separate private areas. 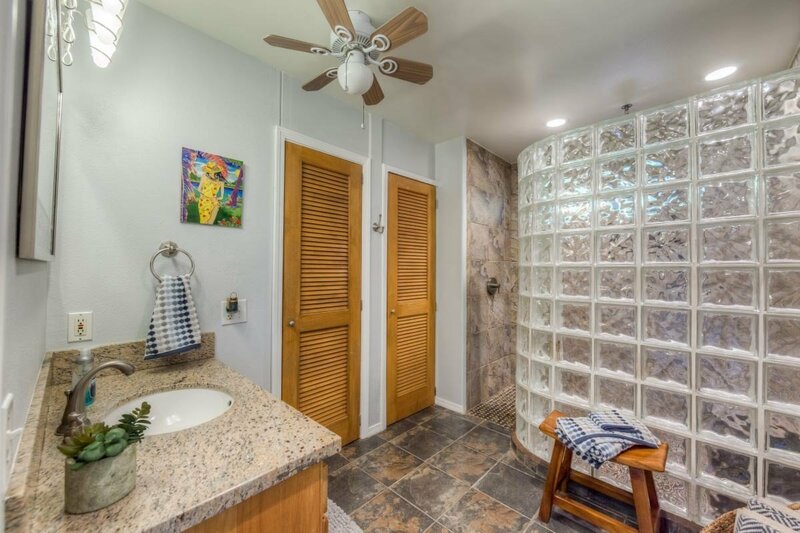 Glass block wall surrounds the walk-in shower with rain fall shower head. 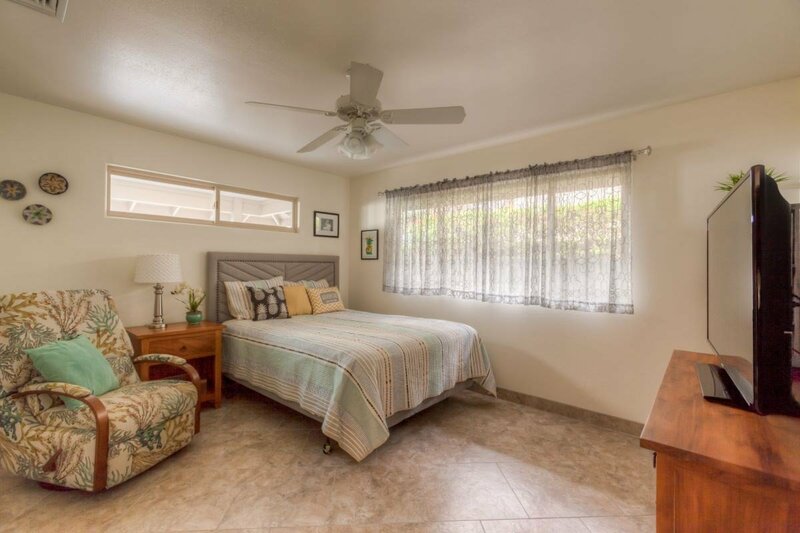 Shelves line the walk-in closet. 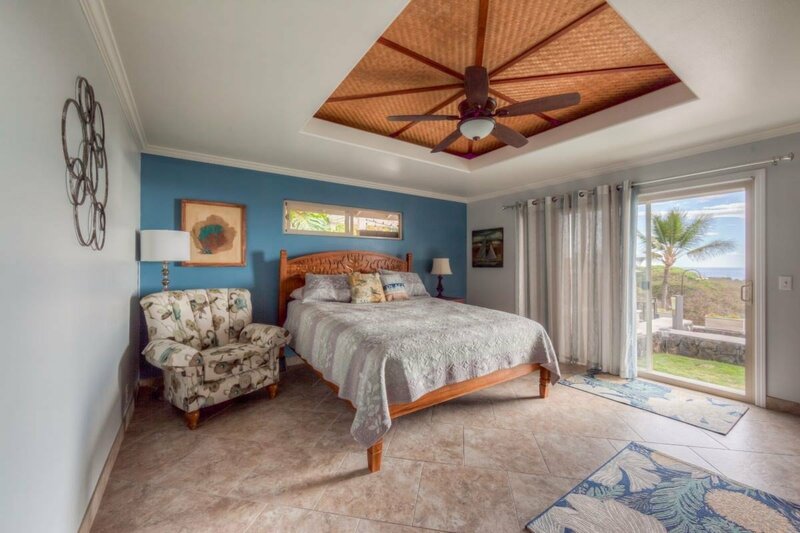 Lauhala ceiling inlay in the master suite & sliding doors to the pool area, enhance the feeling of living in paradise. 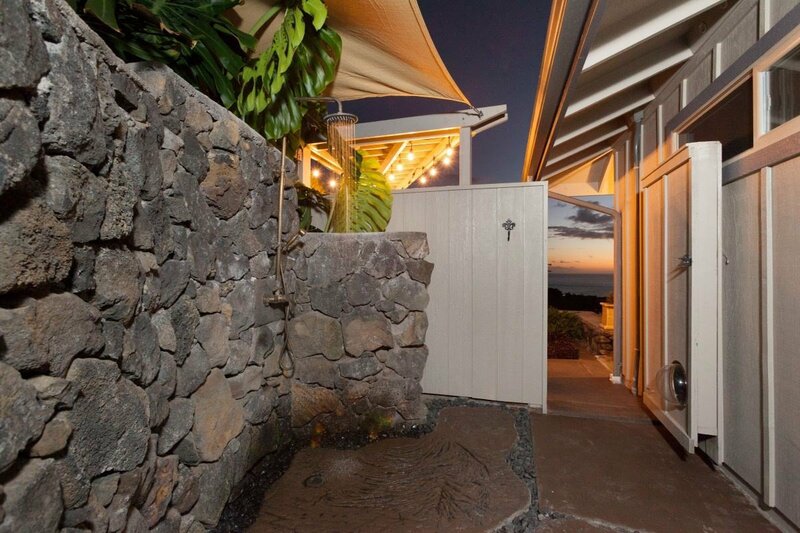 The outdoor shower is fully private. 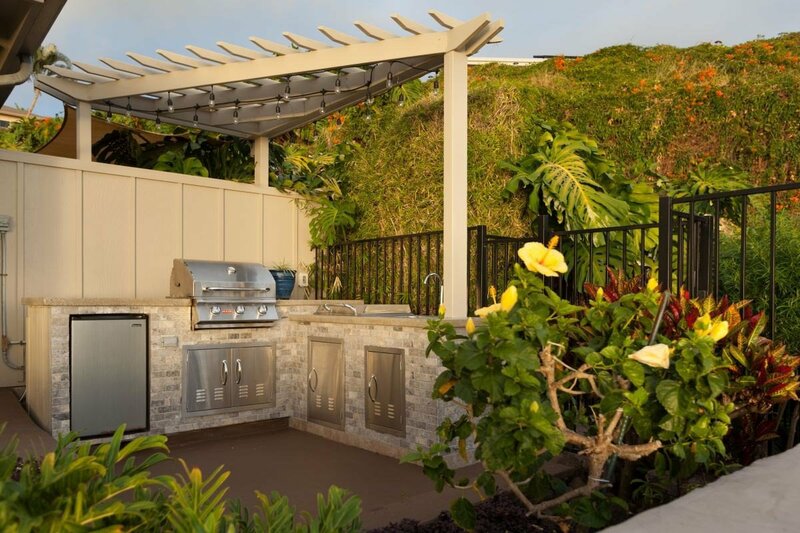 BBQ area has counter tops & a beverage refrigerator. 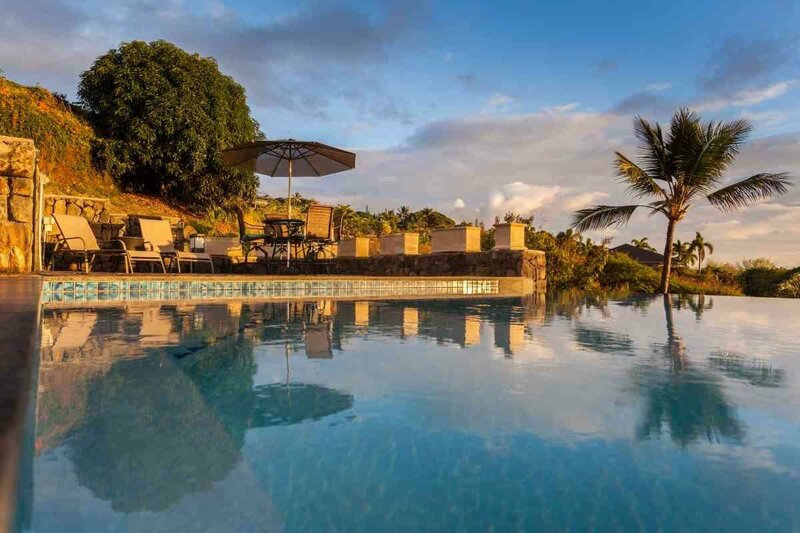 The pool lanai is custom-stamped “lava”, with a reproduction in the shape of the big island. 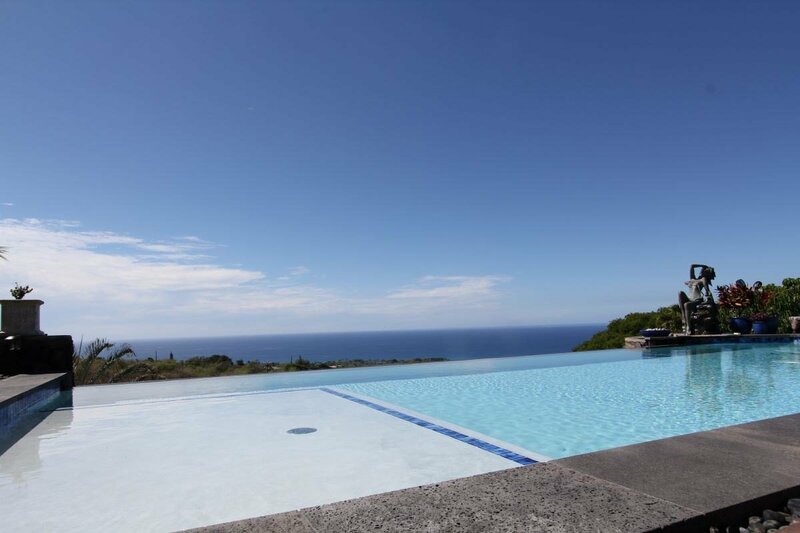 The sparkling salt water infinity pool has a landing area and umbrella stand for just cooling off, while sipping a cool drink. 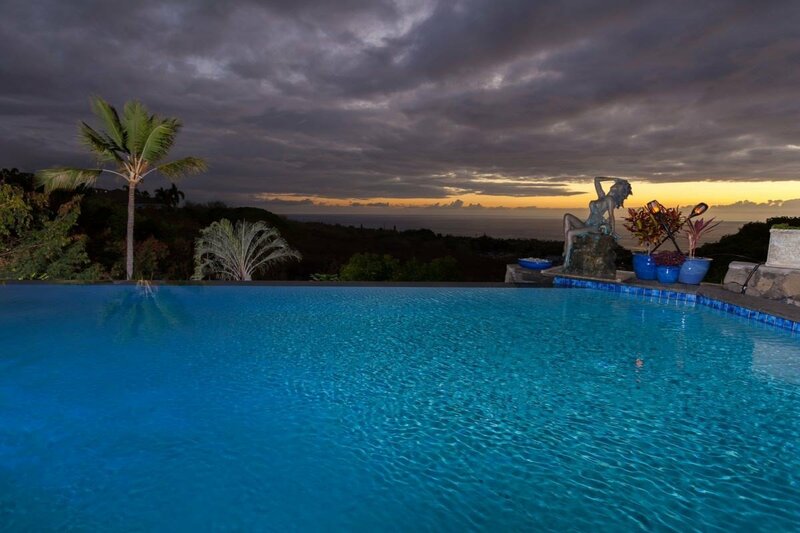 All the while a bronze sculpture keeps watch over the pool. 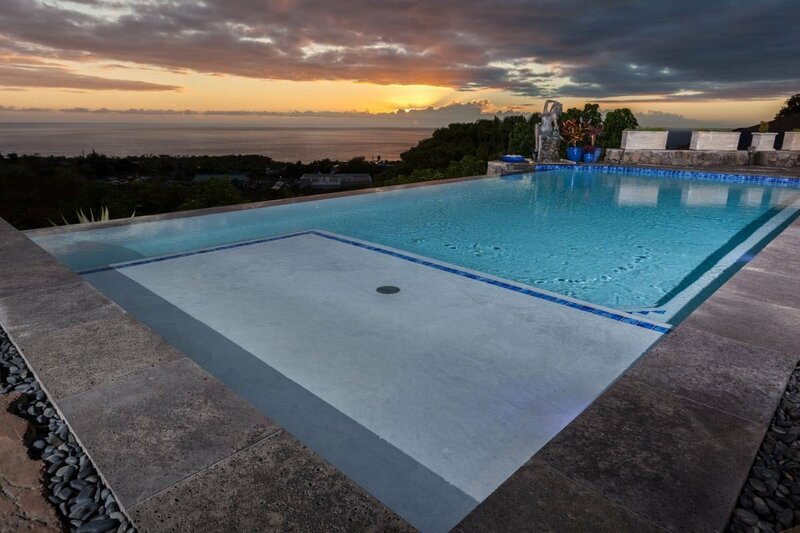 A propane lava fire-pot makes for a romantic swimming or viewing experience. 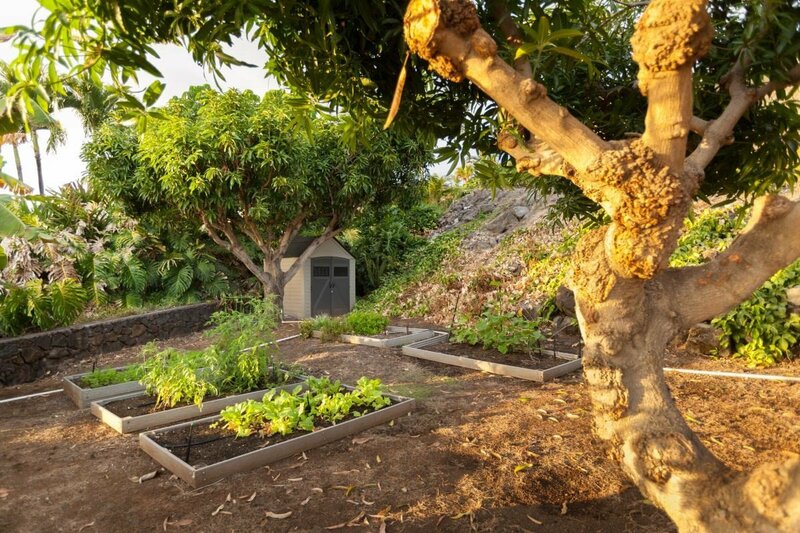 The 19,000+ lot is fenced, landscaped with mangos, papayas, banana, lilikoi & citrus with raised planting beds. 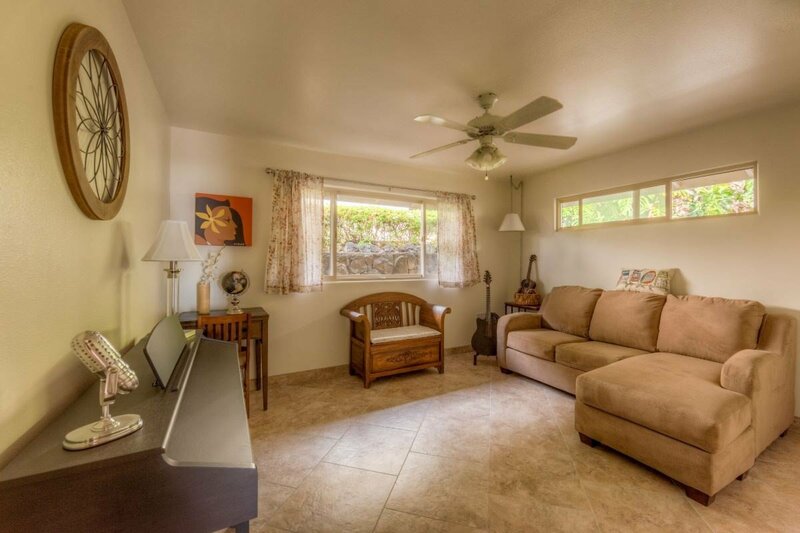 This home is equipped with central air conditioning with two A/C systems that allow for cooling the area in use. 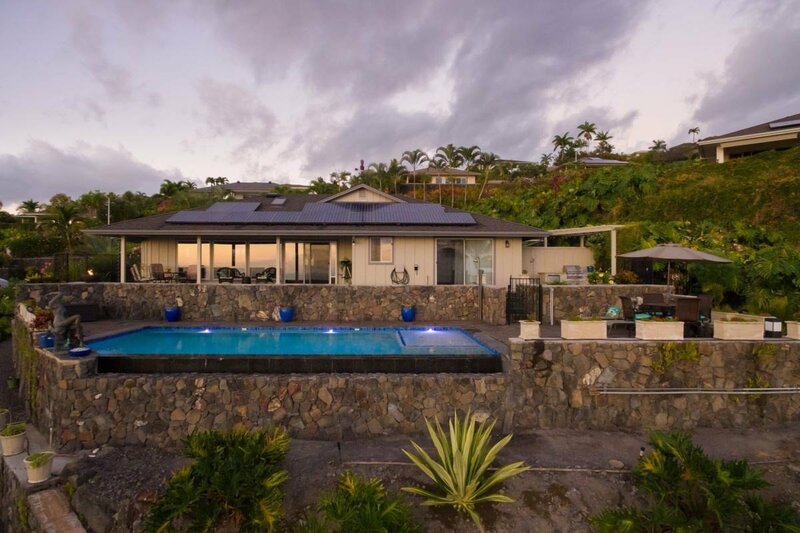 Dual pane windows, an owned photovoltaic system, and a solar hot water system all add to conserving energy. 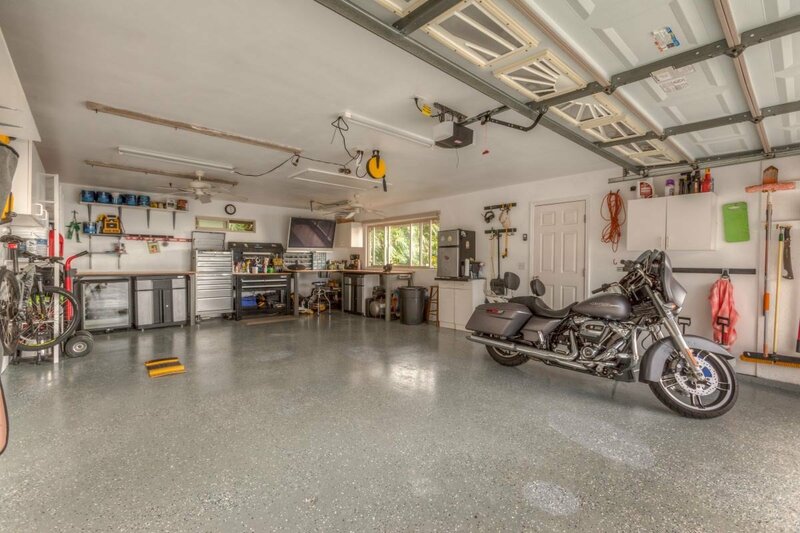 The 600 sf. 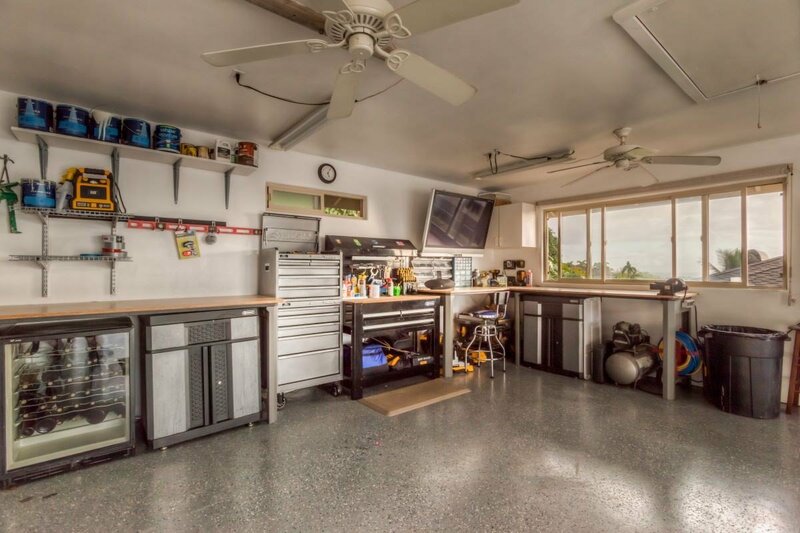 garage means room for hobbies, car collecting, storage or a “cave”. 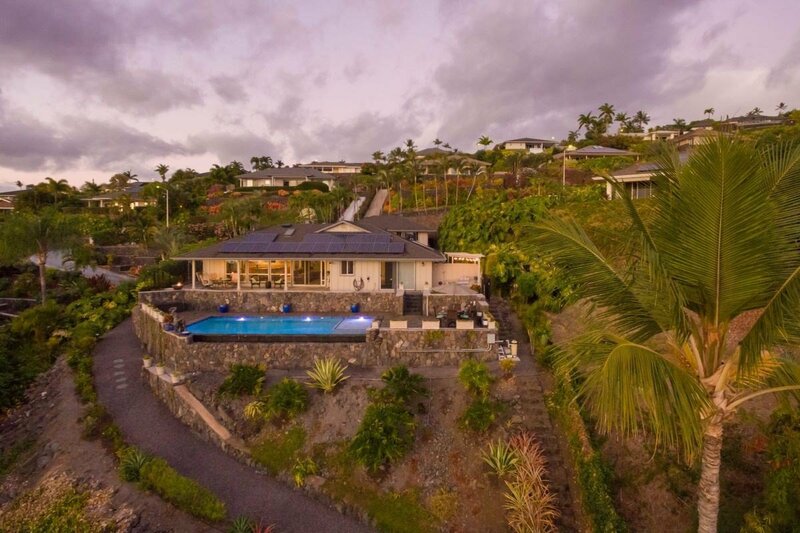 The Walua Road Walking Trail is at the bottom of the property for easy access. 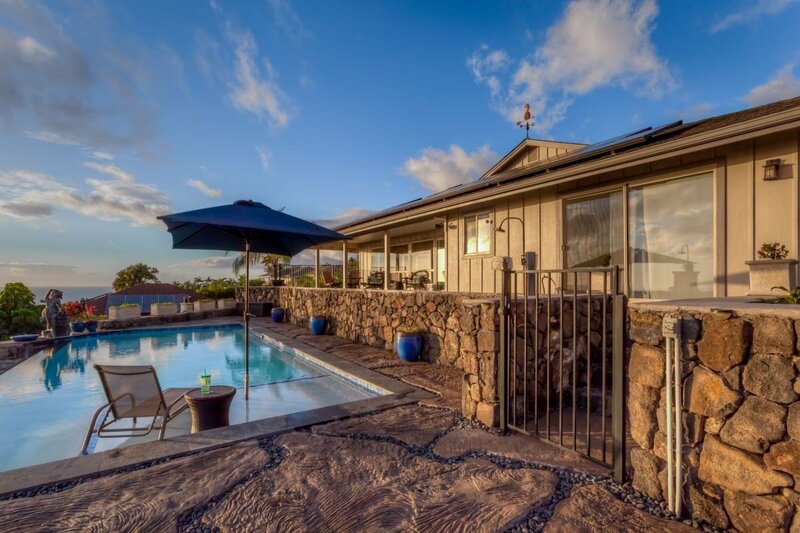 This beautiful property is centrally located to shopping, beaches, hotels, restaurants, and Kona town. 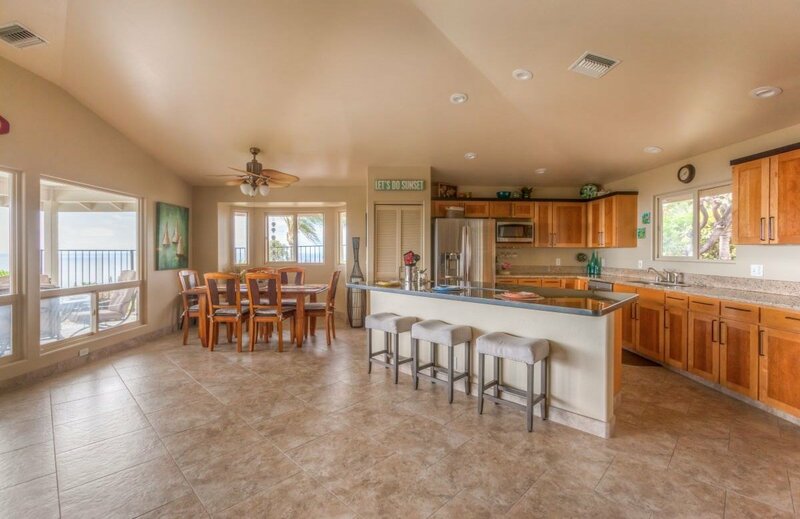 An exceptional value, workmanship, care, and amenities in Kona Vistas.